Hi everyone!! The Series Sale continues today with the Something Just Ain’t Right series. This series was one of my most talked-about series, so if you have not had a chance to purchase it, then now is definitely the time since each book is reduced to either FREE or $0.99. Parts 2-3 is at the countdown price, so it will go back to its original prices of $2.99 & $3.99 on January 24th . In the past two months, Morgan Carter and Hayley Stevens has been through a lot, from threats to kidnappings to shootings. The two have dealt with so much. They realize as long as they are together nothing will tear them apart. However, after Hayley’s shooting, Morgan realizes that in order to protect the ones closest to him that he may have to do something drastic which could tear the two apart. When a series of lies are exposed about the one person he trusted, Morgan has to do what he can to protect not only himself, but also Hayley. Will the two be able to stay together and make things work, or will things crumble around them which could lead to someone not making it out alive? Find out what happens in Something Just Ain’t Right 3, the final conclusion to this series. Hello! This is one of my tour stops during my two week book tour for I’ve Got To Write by Norma McLauchin. This virtual book tour is organized by Write Now Literary Book Tours. This tour runs Jan 2-15, 2019. Book your own tour here WNL. Book Title: I’ve Got To Write! It’s Like Fire Shut Up In My Bones! 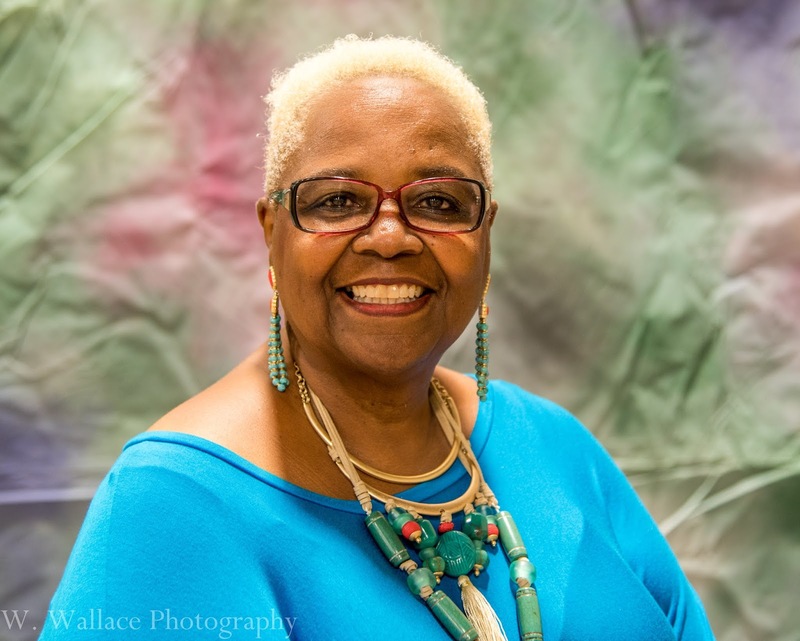 Meet NormaNorma McLauchlin is your Spiritual Growth & Journaling Coach, Founder of New Life Ministries, Lady LifersTM Women’s Conferences, Chosen Pen Publishing, the Free to ChooseTM book series, co-pastor of New Life Bible Church and New Life Christian Academy. Norma McLauchlin, fondly known as “First Lady” in and around her community, inspires women to embrace spiritual change and live more fulfilling lives. Speaking from the heart of her own experiences as a wife, mother, co-pastor, and administrator. First Lady has the unique ability to connect with women from all walks of life.It’s Like Fire Shut Up in My Bones is a compilation of smoldering, heartfelt stories of love, compassion, forgiveness, and amazement inspired and told by members of the Chosen Pen Writers Group. For many of our authors, this is their first published work. Yet, the passion and resolve in bringing to light a story that was burning on their hearts can be found on the printed pages inside.First Lady has accepted the call to help women develop their self-esteem and self-worth. Chosen Pen Publishing and Free to Choose books are just two of the vehicles she uses to encourage women to access the tools necessary to bring about the transformation that will help them realize their potential. Jeremiah 20:9 (NIV) But if I will not mention his word or speak anymore in his name,” his word is in my heart like a fire shut up in my bones. 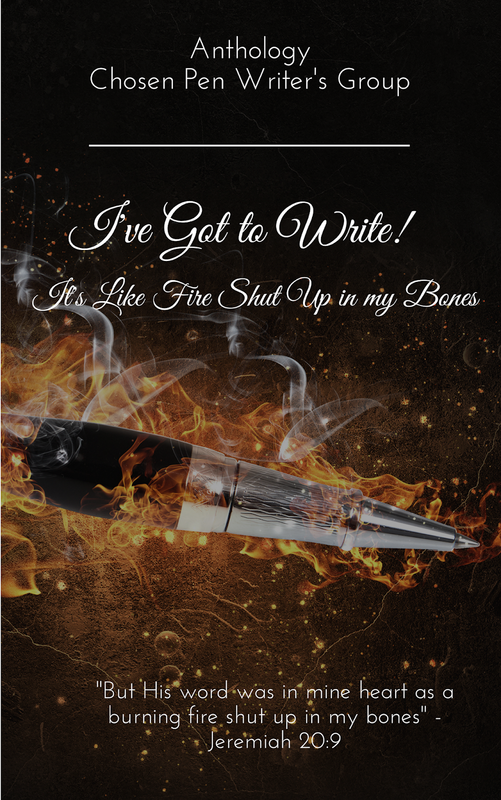 It’s Like Fire Shut Up in My Bones is a compilation of smoldering, heartfelt stories of love, compassion, forgiveness, and amazement inspired and told by members of the Chosen Pen Writers Group. For many of our authors, this is their first published work. Yet, the passion and resolve in bringing to light a story that was burning on their hearts can be found on the printed pages inside. Trois is the exciting conclusion to Brooklyn Knight’s The French Connection series; A BWWM, Multicultural & Interracial Romance. It is currently on sale now in eBook and paperback format. Hey everyone!!! After putting both books from the Into You series on sale, I decided why not put majority of my series on sale! Starting tomorrow thru the entire month of January, each book from several of my series will be reduced to either FREE or $0.99 on Amazon! This is a great way for new readers to check out some of my books or for current readers to pick up a book for their collection. Kicking off the series sale is One Shot With A Baller: The Complete Series! You can 1-Click the entire series for only $0.99. That’s right, only $0.99! This is a three-part series that is originally priced at $3.99, so this is a steal! The sale starts on Saturday, January 5th, and ends the following Saturday, January 12th. Jayden Robertson and Zack Hall are two of the hottest players in the NBA, and with them being the captains of the new team in Baker, they are unstoppable. Although their game on the court is on point, their personal lives are far from it. Jayden and his girl, Britney Lewis have always been loyal to each other. However, with the pressure of the league, as well as Britney’s desires of starting a family, Jayden is not sure what to do. When an incident involving Britney comes to light, Jay soon realizes he has to do what is necessary to protect his girl; even if it means destroying everything that he has worked so hard for. Zack is not only committed to his girl, Dominique Sawyer, but every other woman that gives him some play. He lets the fame and the notoriety go to his head, leading him to make questionable choices that could get him banned from the league. When he meets an old friend in an unlikely place, he begins to see what is most important to him. But, will it be much too late? Jayden and Zack have always been focused on their games, but can they clean up the mess that is occurring in their lives? Find out in part 1 of One Shot With A Baller. Jayden Robertson is faced with the biggest challenge of his life as he is charged with the brutal beating of Tyree Evans. With everyone turning against him, even his own mother, he doesn’t know who to trust, except for his girl, Britney Lewis. Will she be able to uncover the truth about what happened before it’s too late? Ever since Zack Hall met Mariah Benson, his life has been spiraling out of control, leading him to make unquestionable choices. When someone from Mariah’s past comes back, he soon discovers the real Mariah, making him wonder if he should continue to trust her. Dominique Sawyer’s life has been full of drama, including finding out about her lover’s death and her child’s miscarriage. When a wrong decision turns her into working with the enemy, she soon realizes that she must change her life around. However, when she discovers a new plan in the making, will she be able to warn the people she tried to destroy? Or, will the plan lead to even more drama? Find out this and more in the finale of One Shot With A Baller. Hi everyone!! 2019 is almost here, so to countdown the new year, I’m reducing the price for both books in the Into You series! Starting on New Year’s Eve, you can get Into You for FREE, while Resisting Temptation will be priced at $0.99. If you have been looking to purchase these books at a cheaper price or reading my books for the first time, then this is the time to grab both books because they will go back to their regular price on January 2nd. Vanessa Hartwell has always lived the good life. With her fancy job as a management consultant, she never had to worry about anything; that was until her boss, and former lover, decides to sell the company to a business that already have a staff in place. Now that the life she knows is quickly changing, she has to find a job fast. With the help of her good friend, she decides to take a position at an unlikely place. She didn’t think things could get any worse; but that all change when she encounters Mark Fernandez. She soon starts to become friends with Mark, but she can’t get past the idea that not only is he her co-worker, but also the owner of her new employer’s son. After what happened between her and her former boss, she made a vow to herself to never mix business with pleasure. Will Mark be able to change her mind or will she let love pass her by? Mark Fernandez has always been a ladies’ man and have encountered a couple of flings at his father’s business; but he never encountered someone like Vanessa. She’s a bit feisty, but he knows he can find a way to let her guard down. While he does, he has a couple of secrets of his own that he doesn’t want anyone to know. Will he be able to continue hiding them, or will Vanessa be the one to break down his wall? As the two try to establish a relationship, there will be a lot of obstacles in their way, including jealous exes, negative family members, and even crazy co-workers. Will the love they have for each other be enough to keep their relationship going, or will it tear them apart? Take a journey with Vanessa and Mark as they try to build a relationship with each other as well as discover their purpose in life in the story, Into You.